Now that you have verified that your car has all the requirements it is important that you know that Uber wants to ensure safe rides to all the users on the Uber platform. Your car will have to undergo a vehicle inspection. Uber vehicle inspection is a part of the application process to become a Uber driver. 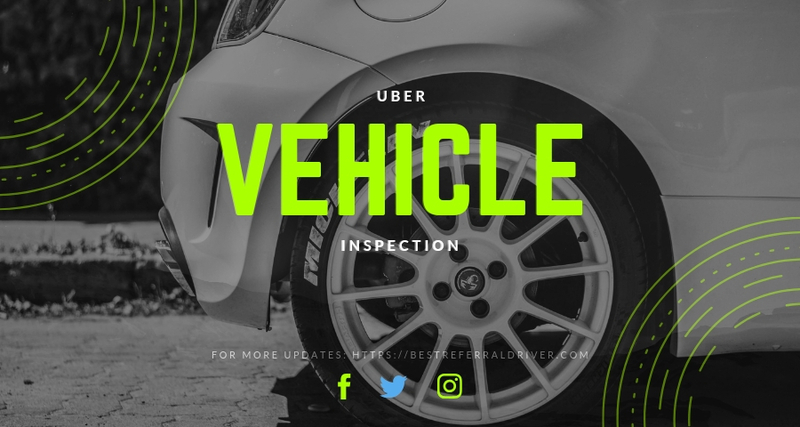 Uber vehicle inspection is required for all the vehicles in the Uber platform. Each vehicle must in any case pass a vehicle inspection every year. What does Uber check in a car inspection? 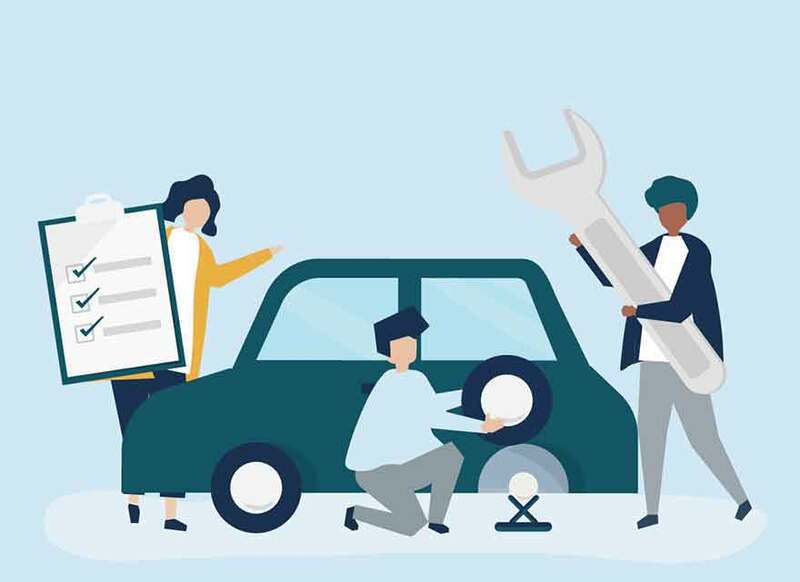 Body: in the case of a damaged vehicle it is advisable to have the damaged body parts repaired, otherwise there is the risk of not passing the vehicle inspection, in the sense that a negative result will be reported and it will be necessary to redo it. Seats: Front seats must be able to move forward and backward. Seats Belts: All seat belts equipped in the vehicle must be functional. Windows: Let's see It clear! Windows must be functional (able to roll up and down) and free of cracks. Another verification that is carried out during the Uber vehicle inspection is the visibility on board, which must be maximum. It is necessary to check the condition of the windows beforehand (a splintered windshield does not pass the revision), the visual field must not be limited by stickers or labels, the mirrors must be intact and functioning, as well as the windscreen wipers and the washer system must be efficient. Tires: One of the main reasons for the rejection of the car inspection is the tires in poor condition. The tires should have adequate tread and you should not be able to see any steel belting. Make sure there's no dry rotting or other cracks, which can cause blow-outs. Replace wheels that have been damaged by rough road conditions. The preventive control of the tire tread, if the appropriate instrument is not available, can be done with the penny test. If you put a penny in the tread and can see the top of Lincoln's head, you need new tires. Watch the video below. What do you need to get a car inspected? How much does a Uber car inspection cost? Uber car inspection expired, what can happen? If your car inspection has expired, your Uber account will be temporarily suspended until you proceed with the inspection. In this case you will not be able to momentarily drive in the Uber platform. How often do you have to get your car inspected by Uber? Very similar to Lyft, all the vehicles in the Uber Plateform need to pass a vehicle inspection yearly. How do I book a Uber Vehicle Inspection? You can schedule your Uber vehicle inspection through the Uber App or your Uber driver account. Do not worry, Uber app will remind you that you have to do your inspection one month before the expiration date. How long does Uber car inspection take? The actual Uber car inspection takes 15 minutes once the car is in the Uber HUB. Paper work may take another 5/10 minutes. What can cause a car to fail Uber vehicle inspection? Inspecting the 11 points prior to your Uber vehicle inspection test is the best way to avoid a failing. It’s easy to see that taking a few minutes to check that all of your lights are operational, that your tires are in good condition... is well worth the effort. What happens if you fail Uber car inspection? Sign up for Postmates, or become Uber Eats driver. Vehicle inspection in not required for Postmates or UberEats and you can also make the deliveries with a 2 doors car, on a bike, on a scooter or even walking. The obligation of the Uber car inspection should not therefore be considered as an "extra" but as an opportunity to be able to ensure for themselves, passengers and other vehicles, the certainty of safe rides. Furthermore, the car inspection is free or has a decidedly affordable cost.